At Foundation Solutions 360, we take an innovative approach to even the most difficult home repair problems. Our team of experts will work with you to figure out the next steps for your home repair situation. The innovative technique our experienced team will focus on are the solutions that will be within your budget and will target the problem at hand. One of our more popular services is basement waterproofing. Basement waterproofing is so important in the Michigan area, which we’ll dive into below. As a home repair company based out of Macomb, we can help you protect your home with our services. If you’re interested in keeping the foundational structure of your home in tip-top shape, then check out basement waterproofing and how it can protect your Michigan home. Have you noticed mold, mildew, a musty smell, leaky cracks in your floors and walls, or even standing water in your home? Some of these things may seem normal or could easily be attributed to your house just being old, but it’s important to take these signs seriously. If you’re experiencing any of these in your home, then it might be something that needs to be addressed as soon as possible. It’s important to note how your home tries to tell you what’s going on with it via small signs. Any of these “small” problems can be indicative of a much larger problem, potentially suggesting that your home may have an issue with water leakage or excessive moisture. When water gets into your basement, it can be disastrous and cause enormous damage to your home, which can turn very costly, very quickly. Due to the importance of keeping moisture out of your home, basement waterproofing is one of the most important improvements that can be made. Basement waterproofing will help protect your home from a little or a lot of moisture. In Michigan, the soil can continuously fluctuate due to the temperature and the moisture. The combination of water and expanding and contracting soil can damage your foundation, which is why basement waterproofing is such a vital part to any Michigan home. When you have your basement waterproofed, it can keep your home’s interior free of moisture and will protect the structure. This will eliminate costly and complex foundation problems before they even begin. 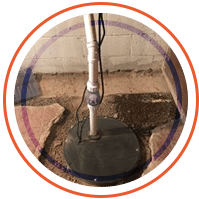 Additionally, depending on your home’s specific needs, we can tie our systems into floor drains or install new sump pumps — anything is possible when you choose Foundation Solutions 360. Designed to mitigate, prevent, or control problems with your home, our products and services offer you, as the homeowner, incredible value. As a local, veteran owned and operated company built on integrity and trust, Foundation Solutions 360 is proud to be able to provide Michigan homeowners with a vast array of foundation repair and home repair services. 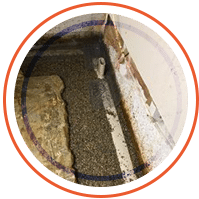 If you want to be sure that your foundation remains dry and intact, then contact us about basement waterproofing today — and don’t forget to ask about our free inspections! While there are many benefits to living in Michigan, such as the beautiful landscape and enjoyable things to do, there can be some negatives, such as how the weather affects the foundation of your home. Waterproofed basements can help alleviate some of these issues, so when you don’t have your basement waterproofed, it can cause several risks. When you have a basement that’s not waterproofed, it can cause many foundation problems. For example, the foundation can have continued leaks and shifts, which can cause cracks due to water that’s been left without a solution for too long. While many of these issues can be fixed with expensive repairs, that’s probably not something you want to deal with. Foundation problems from a basement that’s not waterproofed can damage the property of the foundation and weaken it. Another risk of not having a waterproofed basement is flood exposure. Living in the Midwest, the weather can get wild, especially when it comes to the moisture that may be making its way into your home. One risk that can occur if you don’t waterproof your basement is exposing your foundation to too much moisture. Flood exposure occurs over time when the house has leaks or other issues that haven’t been identified. Foundation Solutions 360 will identify the problem and stop the ongoing flooding, but if it’s not caught soon enough, then it can become susceptible to long-term damage, which can lead to costly repairs for your home. Another risk factor of not waterproofing your basement is the mildew and the mold that can begin to grow in your home. You probably know that it’s very easy for mildew and mold to grow in your home, especially if you make the perfect environment for it. Mildew and mold enjoy dark, damp spots, which is basically most basements in Michigan. By incubating and spreading, mildew and mold can cause detrimental harm to the members in the home, as well as to the foundation. Mold and mildew can cause problems for people who have allergies, as well as present other health hazards. As for the foundation, mildew and mold can create weak spots in the walls as well as the structure. Lastly, another risk of not having your basement waterproofed is the insufficient water flow that may occur in your home. When the home is put together, sometimes the piping can be put in wrong, which should be a cause of concern for you. For example, if the water channels were not properly installed, then the water is liable to flow away from the property and leak into it. While you won’t know if this is the cause, that’s why it’s vital to hire a professional. By not having a waterproofed basement, then those leaks can quickly the foundation into disarray. So what causes these basement waterproofing issues? Why does your basement flood in the first place? Are you just unlucky? Was your home built in the worst place possible? 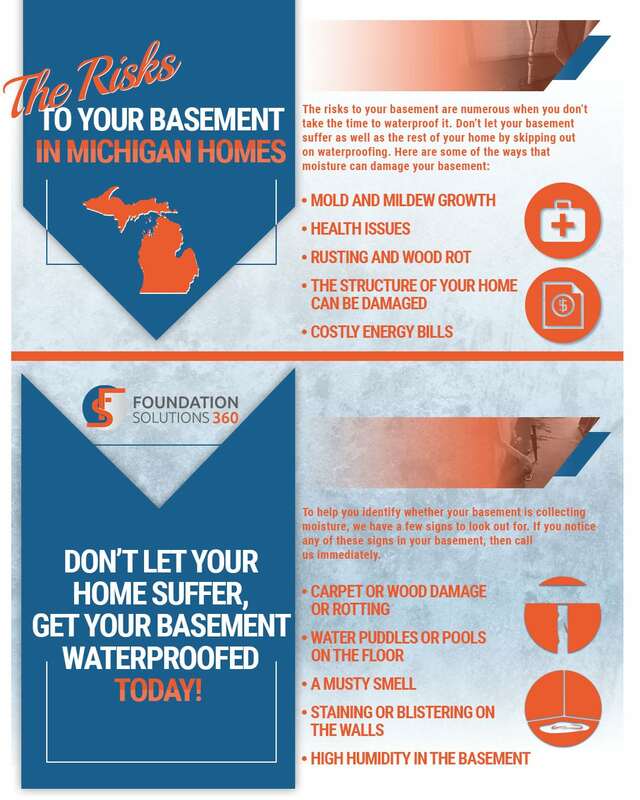 As a Michigan homeowner, it’s vital that you know the ins and outs of basement waterproofing because it’s a very common issue in Macomb and the surrounding areas. While it’s an obnoxious problem that can occur on a regular basis if you live in Michigan, there are many reasons that it can occur, which is why Foundation Solutions 360 is the right home repair company to come to, to solve all of your foundation and waterproofing issues. As a Michigan resident, you know that the landscape isn’t as ideal as it is in other parts of the countries where houses are built. Many basement flooding incidents can occur due to the type of landscape the house is built on. Houses need to be built on sloped terrains, so the water can drain downward. However, that’s not the case for many Michigan homes. If your home is at a lower terrain, then chances are that you probably experience a lot of flooding. While you’ll need a long-term solution, erosion tends to level out land slopes. Another common issue that may be contributing to your basement flooding is a poor floor and wall sealing in your basement. Basements need to have the proper flooring and wall sealing when they are constructed. If that doesn’t happen, then the water will very easily slip through the cracks, especially when there are some extreme weather conditions. The wall and the floor sealing should be resealed if you notice that your basement gets very moist during downpours and heavy storms. At Foundation Solutions 360, we can look into this for you to help determine if you need to reseal your wall and floors. 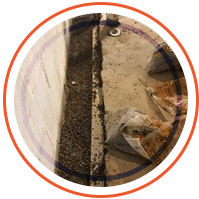 We touched upon incorrectly installed drainage systems in our risks section and they can very well be a common issue if your basement is flooding. Drainage systems will pour the water toward the basement wall if the downspout is placed too close to it. The downspout being too close to the wall can overload the weeping time, which is what causes leaks. Then the downspout can drain in the direction of the backyard or the street, which is not what you want nor will your neighbors. The eavestroughs, for those who aren’t familiar with the ins and outs of their home, are the gutters that are beneath the edge of the roof. When debris gets into your eavestroughs it can overflow with rainwater and go right into your basement or cause leaks to occur in the foundation of your home. However, this issue is a much more simple fix than others that may have occurred. You just need to clean off the eavestroughs and know that your home can be damaged if you let them overflow. On the other hand, since we live in Michigan, it might be more beneficial to get larger ones so it can match the moisture and debris in your area. Along the same lines, a blocked gutter system will cause your home to flood. Blocked gutter systems can be very detrimental to your home because of how it can cause your property to flood since your home is connected to the public sewer system plugs. You have a few solutions to this situation. You can contact the specific local authorities because the water levels are increasing and can cause unfortunate circumstances to your foundation and you can check the gutters to make sure they aren’t clogged. As you read above, there are a lot of issues that come with not taking the time or using the resources to waterproof your basement. So what are some important reasons for basement waterproofing in Michigan? Michigan has soil that is made up of sandy loams, loamy sand, silt loams, and clay loams. A loam is made up of a variety of soil particles that vary in texture and size. They are best for planting and garden growth, but not always for building a house on, which is what can cause detrimental harm to your foundation. For this reason, among the many we’ll be providing for research purposes, it’s vital that you waterproof your basement. While you can’t pick your home up and move it to an area that doesn’t have Kalkaska sand — the official soil of the state of Michigan — you can take the necessary precautions to ensure that your foundation is safe. 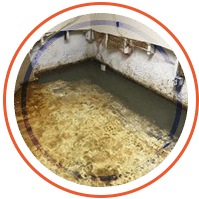 Some reasons that make waterproofing your basement vital is because of flooding, preventing mold and mildew in your home, eliminate the risk of cracks in the foundation, cutting down on energy costs, and increasing the value of your property. Each of these reasons makes it vital that you take the time to waterproof your basement. Flooding can result in a basement that is water damaged and can create mildew and mold, which can infest your home. Additionally, if you have items in your basement, then those can be ruined because of water. Instead of worrying about your belongings becoming ruined, take the time to implement the necessary precautions to eliminate the risk. When it comes to mold and mildew, it can cause health hazards to the people in your home. Everything from coughing to skin irritation, mildew and mold occur when there’s a buildup of moisture in the home. If your home continuously floods, then the mold and mildew will show up pretty quickly because you’ve made an ideal environment for them. Cracks in the foundation occur due to moisture as well. When moisture gets into the small porous surfaces of your basement, then it can begin to expand and contract based on the temperatures. Since we’re in Michigan, the temperatures move up and down pretty consistently and the continuous rise and fall will create cracks in the foundation, which damages the overall structure of your home. 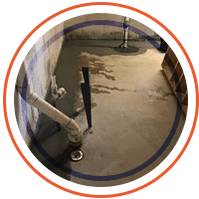 While leaks in your basement may seem small and not a big deal, it’s vital that you fix them to eliminate having to spend costly amounts of money on the foundation. On the topic of money, when you waterproof your basement, you can cut down on how much you’re spending on energy. Michigan can get very humid and that humidity resides in your basement. A warm, wet, and humid basement in the summer months can make it much more expensive to keep comfortable. When the weather goes from hot to cold, then it can lead to cracks in the foundation, which creates a hazard for the structure of your home. Waterproofing is a great way to cut down on your energy bills because it creates an insulation in your home to ensure that whether it’s heating or cooling, it’s efficient year round. Lastly, it’ll increase the value of your home, which is something everyone wants to take advantage of. A waterproofed basement will add value to your property because it makes it easier to finish or refurbish. It also adds protection and security, which is the best type of investment. What are some advantages to basement waterproofing? These solutions will help the foundation of your home and decrease the chances of your basement being a risk to mildew, mold, and damage. Unlike other companies, Foundation Solutions 360 has a Lifetime Transferable Warranty. Our warranty is the longest and the strongest in the industry, especially in Macomb, MI, and the surrounding areas. The warranties you can take advantage of at Foundations Solutions 360 is the pillar of our products and services. As a homeowner, it’s in your best interest to take advantage of this warranty because it adds security and value to your home. As a veteran owned and operated company, we believe in integrity and diligence, which is why our warranties are the best. Flooding and other disasters don’t occur on a schedule, which is why we offer our services 24/7. While disasters don’t happen at a convenient time, we make it convenient to serve you at night or during the day, no matter what time. Hiring a company that is licensed and insured is important because it keeps everyone protected. We keep up to date on our licenses as well as our insurance to make sure that when you work with us, we’re ready to take on the smallest or the largest projects. We hold a Licensed Contractor in the state of Michigan as well as the best liability insurance policies, so you never have to worry about a risk. 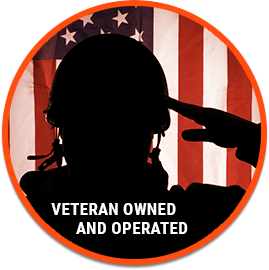 Foundation Solutions 360 is a veteran owned and operated company. Our number one priority is finding a solution to the issues in the foundation of your home. 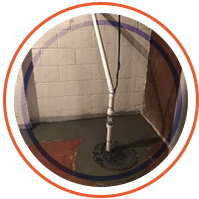 Whether you want to take advantage of our basement waterproofing because you continue to have flooding or you’d like to reach out because you need sump pumps and backup systems, our experienced company is proud and happy to help. With over 20 years of experience, Foundation Solutions 360 is the preferred Michigan home repair company.